All images are black & white 300 dpi gifs, scanned from copies of the datasheets. 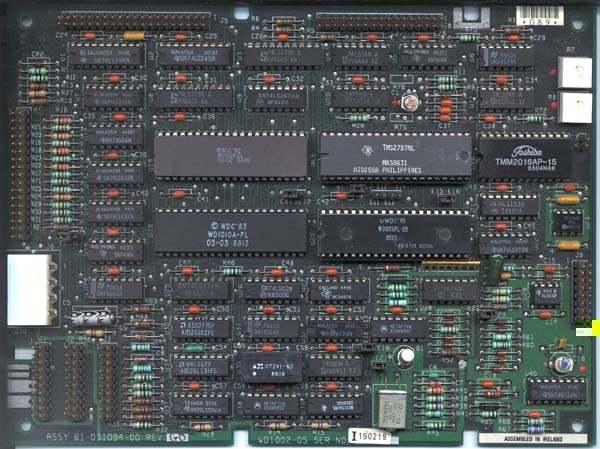 This board was used with TRS80 M1, 3, 4 and compatibles and several CP/M machines from the same area (1980-1985). Here the interface between the WD1002 and the Model 1. Jumper settings for a working board (tested with LNW80). Note that this information is only for your entertainment. I do not produce or sell these boards.